Posted: Sun May 05, 2013 12:53 pm Post subject: 944 2.5L Turbo into a 924?? I am the proud owner of a 1981 924 Turbo (931). It has the GT Carrera body kit, looks good and runs pretty well. It is, however, a project vehicle. It is currently registered and running but will take alot of time, money and patience to get it up to the level of vehicle I would like it to be. Including repaint, interior work and some typical TLC that is given to older vehicles. But I digress, I would really like to ask the gurus and long time owners/modders a few questions regarding the upgrades I would like to do. Firstly, Will a 2.5L 944 turbo engine fit in to my 924 without any major mods? And if so, assuming I brought a rebuilt long block, would the 931 parts fit onto the 944?? I have done some research but I just can not find out if the 2.5L 944 engine is the same slant 4 style engine as the 931. Secondly, If I was to keep my current, original 931 engine and upgrade the turbo... can I mount an aftermarket turbocharger in the same place as the original, with a customized manifold flange to suit said turbo? Or would I have to perform a major plumbing job and sit the turbo on the inlet side of the engine? Assuming that I would probably add a front mount intercooler to the mix, new plumbing is not out of the scope of possibilities, just wondering if it is a necessity. A big thank you to anyone/everyone who takes the time to offer any advice or suggestions on my plans to take on a pretty big project that will get my rig to a respectable level. First question is where in OZ are you. You may be close to some members that can help. I am in Central Queensland, about 2.5 hours SW of Mackay, in a small town called Moranbah. Yea, it did take me a while, I've spent more time reading through forums than posting. I've found with most forums it's better to spend time reading posts and seeing what sort of crowd generally reside within.... this was a lesson I learned on Whingepool (Whirlpool) Forums. That being said, I have learned a lot over that year. How would you define "major mods?" Of course a 2.5 will fit in your 931. How would you define "major mods?" By major mods, I mean any cutting of the chassis, changes to engine mounts and so on. I'm still pretty new to Porsche engineering, but I like it. Since I grew up owning Holdens.... this is a pretty new ball game to me. as far as keeping stock manifold you can do a hybrid turbo and use a different compressor and the same hotside, this is whats on my car. essentially the 924S ws the same car with a 2.5 in it, 951 was the turbo variant and refined version with uprated transaxle. Any current pictures and what do you intend to do with the old motor ? Then no the 2.5 uses different mounts and to have the 2.5 installed you need to cut and weld a bit of chassis. 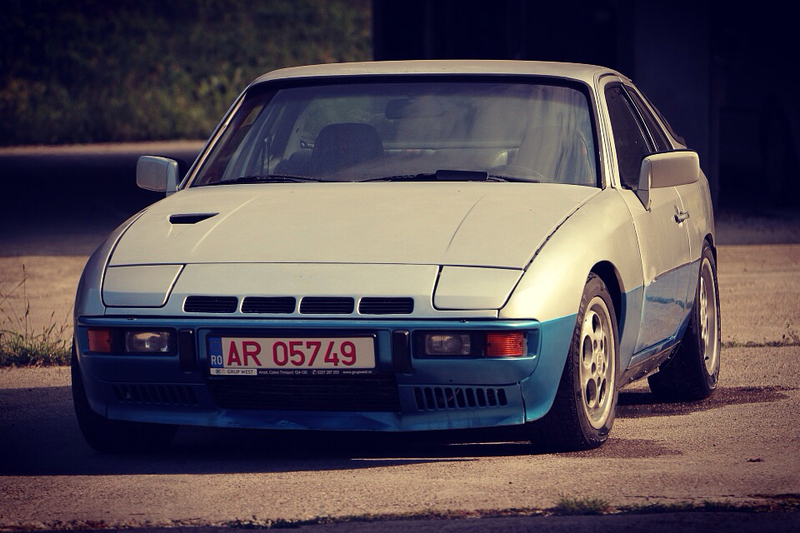 Keep the 931 a 931 and the 944 a 944. The 931 is becoming a rare vehicle..and you'll be happy to own a not so molested one. Why do guys in the Porsche community make such a big deal out of chance of motor mounts and doing minor cutting to make things fit? People in the hot rod community do this all the time and enjoy it. If it were me I'd make the 931 engine produce 250bhp plus than make it a 931/944 frankenmotor! It's not a straight engine swap. Mounts, TT, gearbox, torsion bar carrier/gearbox mounts, drive shafts all have to be considered. You may as well put the whole 944 turbo drive train in. If you do this it may be easier to stick 924 rear wings onto a 944 along with the CGT arches. Because hotrods are piece of sh!t non working, non practical rust buckets that are cool to look at while the 924 is a propper sports car that DOES NOT RUST if no body work(cutting/welding) is done on them. The 924 survived until now and will continue to survive from now on BECAUSE IT DOES NOT RUST. If you molest the body of your 924 it wont live or be worth much. The idea when modding is not to trash the qualities of the car but to improve something...where is the improvement when you just reduced its life ? That is quite possibly the worst answer to an honest question I have ever heard. i told you why I dont fancy cutting up my long life chassis...now tell me how you dont find longevity of the body and chassis an incredible thing to have on your beloved sports car ? Okay, enough BS. Bottom line? The 2.5L requires different mounts and frame hacks to fit the engine and crossmember/steering rack. The TT, transaxle, shifter, rear suspension, and most of the front suspension will swap over though. An Audi 20-valve 5- cylinder is a better fit, just not as well documented yet.